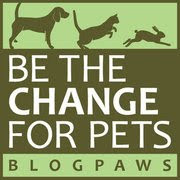 Today's "theme" over at BlogPaws is "All Paws Up" because it's only 50 days till the BlogPaws Pet Blogging and Social Media Conference, May 8-10, 2014, in stunning Lake Las Vegas! Don't miss this adorable pic of Ruby, who's giving the upcoming conference a ten paws up! 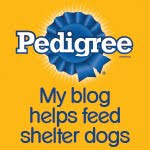 Now let's all join the BlogPaws Wordless Wednesday Pet Blogger Hop and see who's givin' a high ten. This is the most purrfect "All Paws Up" photo!!! Not long now and ten paws up to you too Bocci. Have a wonderful Wednesday. That looks kind of like my dog's pose in my WW post today! AROOOOO! What a relaxed pose! The most comfy position ever! Looks very comfy! Sadie sleeps like that all the time..